Assuming good weather and a decent line-up, outdoor music festivals are great. You roam around, drink beer, meet fellow fans, and camp under the stars to the faint sound of the night’s closing act or else the rustle of dancers trancing out to the silent disco. But then, the moment always comes: where’d your friends go? Maybe you set a meeting point earlier in the day, but the venue is a lot larger than you’d realized, plus maybe you’re a bit tipsy, and you just can’t find it. You try your phone but you already know – there’s no service out here in the boonies. Ryan Hall has been there. He recently attended WeWork’s Summer Camp, a four-day festival 40 miles outside London. This time, he says, “We thought ahead and said, let’s check out this goTenna thing.” goTenna Mesh is a small device that pairs with your phone and allows you to message and share your location with others when you have no service. “Long story short: it worked great,” Ryan told us after his first time using it. Of course, part of why we go to festivals is to unplug, and goTenna won’t bother you with endless social media notifications or distract you with the whole of the Internet. Instead, it focuses on messaging and location sharing so you can connect with the people around you. Like many other goTenna users have reported, Ryan also enjoyed trying out the broadcast feature on the goTenna Mesh, which allows you to find and communicate with other goTenna users in your area. 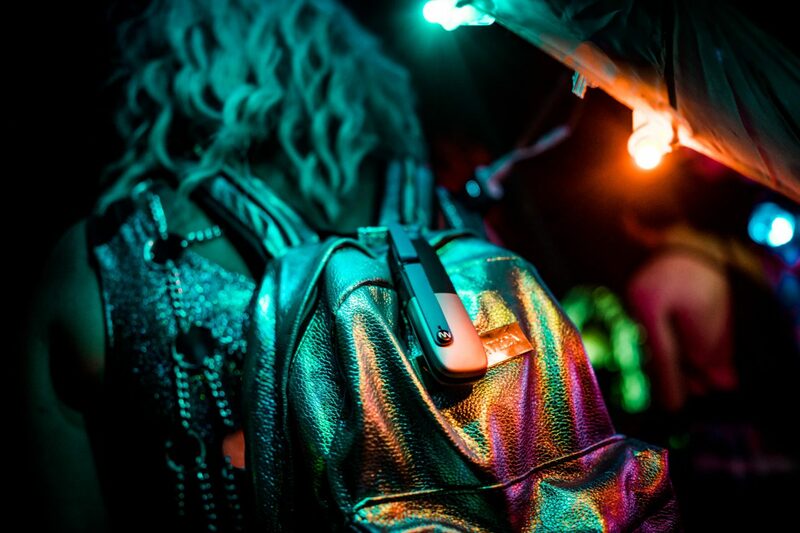 So if you’ve got music festival plans this fall, don’t get left on your own – bring a goTenna along and stay connected.